Why is Governor Christie giving away a public right-of-way to a private institution? The February 16th Historic Sites Council hearing ended with the Council’s decision to table a resolution giving New Jersey Transit conditional approval for its application to remove 480 feet of track and prematurely abandon the public transporation easement to the site. Click link for draft resolution. The draft resolution was based on the materials presented by NJTransit in its Application. The Council listened closely to public comments and concerns and ultimately decided to table the issue until it had a clearer understanding of the facts and the legal issues. The next hearing is scheduled for April 19th, at 10 a.m., in the DEP hearing room, 401 East State Street, Trenton, NJ. For press coverage leading up to the hearing, see: Town Topics; Planet Princeton; US One; Princeton Patch. For post hearing coverage, see: Trenton Times; Princeton Packet; Daily Princetonian, Town Topics. For an op-ed on current and past adaptive reuse issues in Princeton, see this op-ed by Anne Neumann in the March 9 Packet. Update: The Council voted to table the decision until the next meeting, after they get more information, including the status of the lawsuits. At the next meeting, on April 19, the Council voted to approve NJT’s application, subject to certain “mitigating conditions.” The Council was informed that NJT would move the station anyway and that approving it with conditions would give it the most leverage. The “mitigating conditions” require NJT to document the historic site and to install an interpretative display in the new station. The Council’s recommendation was adopted on May 11, 2012 DEP Assistant Commissioner for Environmental and Natural Resources Rich Boornazian. His letter adopting the recommendation authorizes NJT to abandon 460 feet of easement. The May 11 letter, with the Council’s resolution, can be found at the links on the right. Save the Dinky has appealed this ruling; the appeal is now pending in the NJ Appellate Division. Note that the application makes no mention of community opposition and it claims that the track removal and the removal of the easement are necessary for the campus expansion. Note also that NJ Transit has no factual basis, other than the University’s assertion, for the claim that the project will alleviate traffic congestion. The University ignored the impact of shifting Dinky-related traffic from University Place onto to Alexander Road. 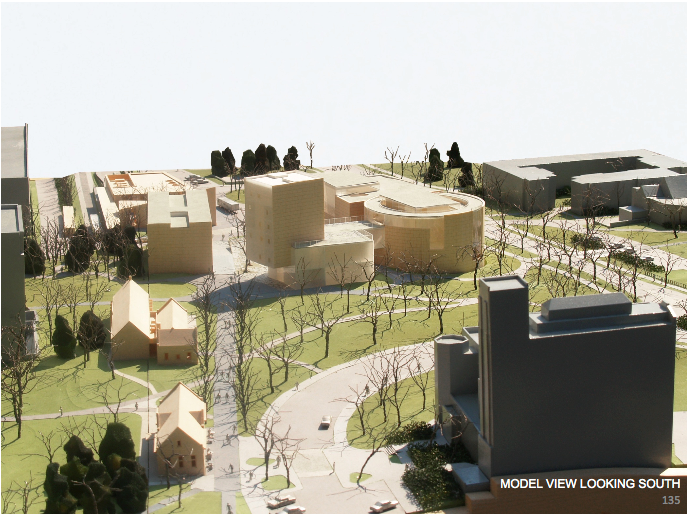 NOTE: PU has revised its plans: click here to view the new plan. Download letter from PU to Planning Board explaining changes and providing a project update. Click on the maps for more detail. Note: Right of Way is approximate. Click here for pdf of University-prepared map showing the area. 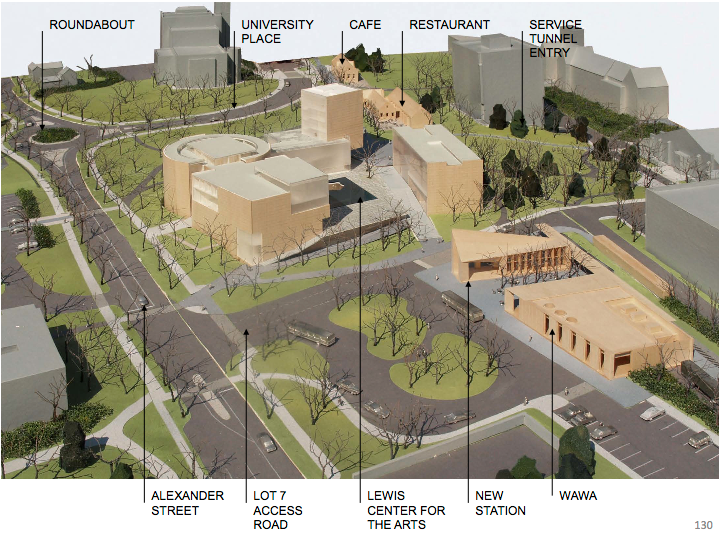 Less than a week after the election, the Township Committee folded its tent and gave the University carte blanche for development plans that involve moving the Dinky out of the Borough into the campus service zone. Fortunately, Borough Council continues to seek ways to preserve the Dinky terminus and/or the right of way for an eventual extension of light rail to Nassau Street. Council will hold two critical meetings that Dinky supporters should attend.